Don’t spend all the RRIF withdrawal that lands in your chequing account. This story begins with the 4% rule of thumb that many people use for retirement income. The idea is that when you enter retirement, you calculate 4% of your starting savings amount as a withdrawal for the first year. Then you increase this withdrawal by inflation every year. So the 4% amount applies only to your level of savings on day one of your retirement. There are a number of problems with the 4% rule as I explained in a post on a retirement income strategy. One serious problem is that the original research that led to the 4% rule assumes that you pay no investment fees. I showed that the safe withdrawal rate drops quickly as fees rise. But whatever spending percentage you settle on as safe for your situation, it’s certainly going to be less than the forced RRIF withdrawal percentages. One thing to keep in mind is that the RRIF withdrawal percentages are based on your portfolio size in the year of the withdrawal. In contrast, the 4% rule is based on your starting portfolio value. However, even taking this into account, the forced RRIF withdrawal percentages will have you drawing down your RRIF faster than the 4% rule would in the vast majority of cases. It’s at this point that so many people seem to throw their hands up and say the government forces people to draw down their savings too fast leaving them destitute in later life. This is nonsense. Just because money leaves your RRIF doesn’t mean you have to spend it. For example, you could put some of it in your TFSA to spend in a later year when your RRIF payments have shrunk. 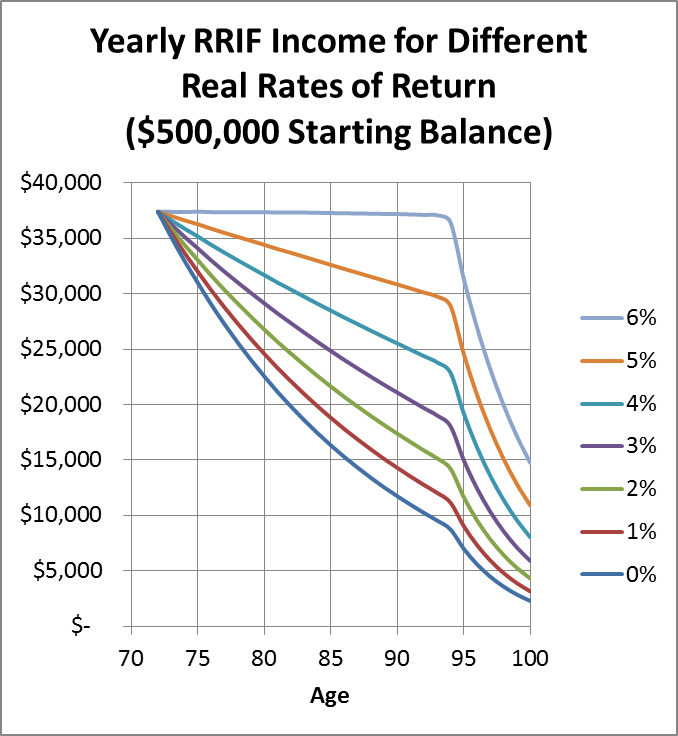 It’s unfortunate that the default RRIF percentages are too high for a sustainable retirement income. No doubt many people just spend their RRIF withdrawals without much thought. So, it’s true that the current RRIF withdrawal rules will lead to many people overspending early in retirement. But that doesn’t have to be your fate. Thoughtful retirees can choose their own safe spending levels and save any excess RRIF withdrawals. All the moaning about high forced RRIF withdrawals would be easier to take if the writers were to point out that people don’t have to spend all the money. It’s sensible enough to call for smaller minimum withdrawals to protect the unwary, but we should also try to educate retirees about how to protect themselves until the government acts. Norman Rothery points out that the 4 per cent rule for retirement withdrawals each year is based on the assumption that you pay no investment fees. This fact is rarely mentioned. 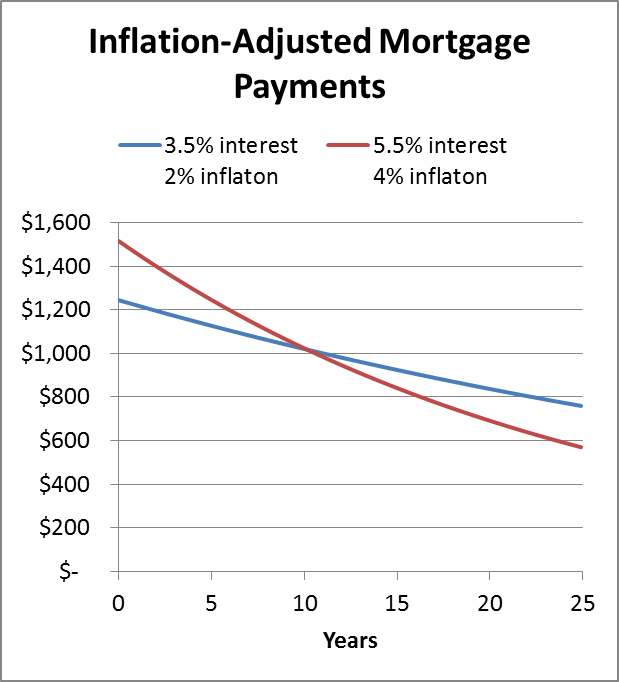 I recreated the study behind the 4 per cent rule and then studied the effect of fees. Boomer and Echo have a thoughtful list of 5 investing lessons learned. To the first lesson I‘d add that distinguishing skill from luck goes beyond comparing returns to an appropriate benchmark. Even if you beat a benchmark over a year or five, you may have been just lucky and have no expectation of beating the benchmark in the future. Rob Carrick says “don’t sell your stocks if you’re worried about a market decline.” That’s good advice, and the second paragraph has a good lesson as well: “The market will fall at some point, but it’s pointless for most investors to try and predict when.” However, the rest of the article focuses on opinions of whether the market is overvalued and whether other investors are scared. Most investors should simply ignore such things and focus on their long-term plans. My Own Advisor lists his picks for the top Canadian equity ETFs. My favourite from the list is VCN. Big Cajun Man is no fan of the land transfer tax. He gives an Excel formula for calculating this tax in Ontario. Million Dollar Journey is looking for people interested in writing about their own journeys to a million dollars now that Frugal Trader has finished the trek. I wonder if he would be interested in hearing from someone who is heading back down to a million dollars through living the good life in retirement. The one with no balance. I know some bloggers make a lot of money with credit card referrals, but enough already. I just don’t care which credit card is best. As long as I don’t carry a balance, don’t pay a yearly fee, don’t pay for any idiotic insurance, and get a little cash back, the rest is small stuff. Find a way to cut back on some spending that isn’t improving your life much and you’ll come out much further ahead than picking some whiz-bang credit card. The only exception I can think of is if you can use a personal credit card for work costs such as travel, get reimbursed and get to keep credit card rewards. Outside of that, all the excited talk about choosing credit cards is just a big yawn. Elon Musk takes the remarkable step of allowing competitors to use inventions in Tesla Motors’ patents. His reasoning for doing this includes an accurate indictment of the current patent system. Carl Richards of the BAM Alliance explains how investors who try to get higher returns with lower risk are invariably disappointed once the market changes. Canadian Couch Potato proposes a way to estimate expected future stock and bond returns. John Heinzl brings us a very interesting interview about financial fraud. Stan Buell is a victim himself and knows a lot about how others are victimized. Steadyhand has a chart that puts our current interest rates into historical context. Jason Zweig shares some sensible thoughts on dividend investing. Million Dollar Journey answers the question of how much money you need to save monthly to reach your target retirement number. Big Cajun Man isn’t a fan of selling leverage to widows. Scott Adams had me laughing pretty hard at his latest invention: the money toilet shredder. In the past I’ve used the exchange-traded fund DLR to make cheap currency exchanges at InvestorLine. I decided to try Royal Bank stock (ticker: RY in both Canada and the U.S.) because it has a smaller spread to save me more money and it’s easier to trade. For those not familiar with the Norbert Gambit for saving money on currency exchanges, please take a look at Canadian Couch Potato’s excellent guide. The lowest risk method of doing the Norbert Gambit is to using the exchange-traded fund DLR which just holds U.S. dollars and can be bought and sold in either Canadian or U.S. dollars. Unfortunately, you can’t buy or sell the U.S. dollar version online at InvestorLine; you have to call an agent, which is a pain. So, I decided to try using Royal Bank stock instead. With my new savings always in Canadian dollars, my portfolio allocation tends to get out of balance by having too much in Canadian ETFs. I needed to sell about $60,000 worth of Canadian ETFs, change currency to U.S. dollars, and buy U.S. ETFs. The problem is that the currency exchange rates offered by InvestorLine have a large built-in spread that can be expensive. 1. Sold Canadian ETFs (settled in Canadian dollars). 2. Bought 830 RY on a Canadian exchange (settled in Canadian dollars). 3. Sold 830 RY on a U.S. exchange (settled in U.S. dollars). 4. Bought U.S. ETFs (settled in U.S. dollars). I completed all steps in just a few minutes without having to call InvestorLine. If I had used DLR, I would have had to have called InvestorLine for step 3. Using RY stock is a little riskier because of the possibility that its price might change between steps 2 and 3. DLR doesn’t have this risk because the investments inside DLR are just U.S. dollars. I did all this on a Tuesday. Immediately after making the trades, my account showed that I had 830 RY on the Canadian side of my account, and -830 RY on the U.S. side. In reality, it takes 3 days for trades to settle. In my case settlement was on Friday. It wasn’t until another two business days after Friday that the +830 RY and the -830 RY were wiped out. Fortunately, this cancellation of the offsetting shares of Royal Bank stock was automatic; I didn’t have to call an agent. Update: See here for a description of an interest charge I was hit with weeks later that I discovered and got reversed. This trick was well worth the small extra effort because I saved $491 compared to just using InvestorLine’s currency exchange. I’d be interested to hear readers’ experiences with the Norbert Gambit at InvestorLine or other discount brokers. I enjoy taking financial quizzes, even the type that ask dumb questions like “is taking a vacation financially irresponsible?” Of course, the answer is “it depends,” and people get to argue about it pointlessly. I have a very short quiz with more objective answers. 1. Siblings Amy and Brad inherited $50,000 and contributed the money to their RRSPs. Amy invests her money in North American stock index ETFs with low fees. Brad chooses his favourite 5 stocks each year and invests all his money in them. If Brad’s choices are essentially random, what is the probability that he will have less money than Amy after 40 years? 2. A third sibling, Charlie, also received $50,000 and put it in his RRSP. Charlie decides each month which way the stock market is going and either invests fully in North American low-cost stock index ETFs or he parks it in short-term government debt. What fraction of the time does Charlie have to guess right for him to end up with more money than Amy? 1. The correct answer is C. Brad’s chances of ending up with less money than Amy with his stock-picking is greater than 50%. Under one set of assumptions (*), Brad ends up with less money than Amy with a probability of about 65%. It might seem like the odds should be 50% because Brad is choosing randomly from the same set of stocks that Amy owns, but this isn’t the case. For the probability to be above 50%, it might seem like there must be some missing money, but this isn’t the case, either. To understand why, imagine that there are many Brads all stock picking. Most Brads will lose to Amy and a minority will beat Amy. But the winning Brads tend to beat Amy by more than the losing Brads lose to Amy. This is the nature of taking greater risk; it tends to concentrate winnings in fewer hands. It takes two losing Brads who end up with $100,000 less than Amy to make up for one winning Brad who ends up with $200,000 more than Amy. Investors with a rational level of risk aversion should prefer to invest like Amy. Investing like Brad only makes sense if Brad can pick stocks that are sufficiently above average that it compensates for the extra risk Brad is taking. 2. The correct answer is C. Charlie has to be right with his market timing guesses more than 50% of the time to keep up with Amy. In one experiment, Charlie needed to be right 60% of the time to get the same returns as Amy. In this case, the explanation is simpler. Over the long run, stocks returns are higher than short-term interest rates. If Charlie’s guesses are purely random, he will be out of the stock market half the time and, on average, will lose money compared to Amy who remains fully invested. Charlie has to be right more than half the time just to keep pace with Amy. The theme of this quiz is that the feeling that stock pickers and market timers are as likely to win as they are to lose is incorrect. Both will lose more than half the time if their guesses are random. They have to have above-average skill among the professional investors who dominate modern stock markets. 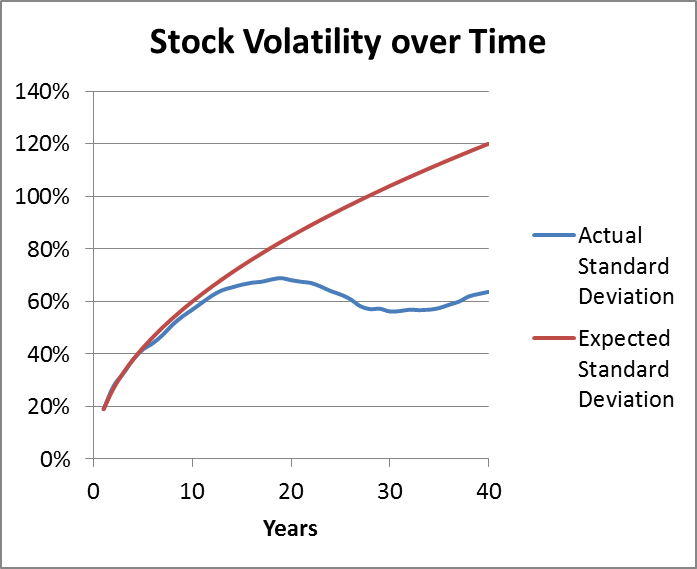 * Assumptions: many lognormally-distributed stocks with identical expected returns, 50% standard deviation, and identical correlation coefficients of 0.16, so that the overall market has standard deviation 20%.